Below you can view all the homes for sale in the Warm Springs Bronco subdivision located in Las Vegas Nevada. 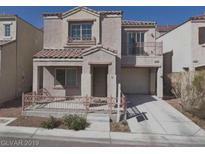 Listings in Warm Springs Bronco are updated daily from data we receive from the Las Vegas multiple listing service. To learn more about any of these homes or to receive custom notifications when a new property is listed for sale in Warm Springs Bronco, give us a call at 702-323-5933. Buyers and Buyers agent to verify all information. MLS#2087446. Platinum R.E. Professionals. Great Location in the South West part of town, Near Highway 215 and Rainbow Blvd, Shopping areas, Community with 2 pools, 2 parks with grass and trees, playgrounds and open picnic area, schools and more. Motivated Seller! ready for move-in! MLS#2086561. Prominent Realty Group LLC. Built in 2005, this Las Vegas two-story corner home offers a deck, and a one-car garage. MLS#2083385. Opendoor Brokerage LLC. 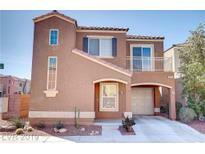 4 minutes to 215 Beltway and Less than 10 minutes to the Strip and McCarran Airport. MLS#2081532. BHHS Nevada Properties. Shampooed carpets and nicely managed vinyl flooring in wet areas. MLS#2073981. Realty ONE Group, Inc.
A Community pool is part of the HOA. GREAT SW LOCATION! MLS#2065358. Urban Nest Realty. Single Family Residential Under 250k On The Sw Area ~ 3 Bedrooms ~ 2.5 Baths ~ Balcony ~ Front Porch/Patio ~ Community Pool, Park And Playground ~ Near Schools, Freeway And Shopping Centers MLS#2062574. TR Realty. Move in ready home, waiting for You! Property must be Owner occupied! MLS#2050351. Windermere Prestige Properties.